Jim brings an impressive background in coaching and leadership to this role within our club. Jim earned a B.A (Hons) degree in Physical Education and Recreation and Public Media from Trinity and All Saints College, University of Leeds in 1991 and soon after began working as Assistant. Director of Coaching for the Cyfair Dynamos Youth Soccer Club in Houston, Texas. In addition to being Assistant Director of Coaching, he was a staff trainer and ODP State Head Coach for South Texas Youth Soccer. 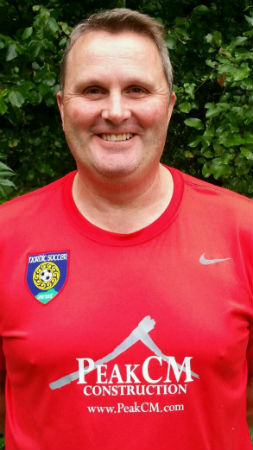 Upon moving to Vermont in 2001, Jim continued to balance several jobs, as Assistant Director of Operations for Nordic, Region 1 ODP Regional Coach, ODP State Head Coach for VT Soccer Association, Assistant Women's Soccer Coach at St. Michael's College, Y League National ODP Coach and eventually assuming the role of full-time Director of Operations at Nordic in 2008. Jim lives in Colchester and his son Matthew is a graduate from McGill University in Montreal. National Soccer Coaches Soccer Association of America (NSCAA) Director of Coaching Diploma.